Last week I rode my bike up to the post office on Main in Evanston. I like that branch because it generally only has lines at Christmastime and because I like the idea of a post office on Main Street. I was there to send in a grant I’ve been working on for two months – the reason there were no October posts at The Saltwater Twin. This is the first time I’ve applied for a big grant. 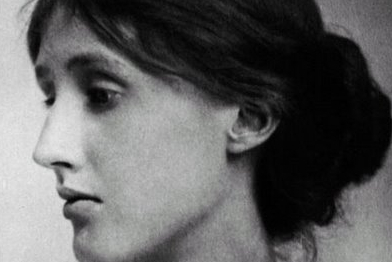 The $50,000 Gift of Freedom Award is offered by A Room of Her Own (after Virginia Woolf’s famous essay), a foundation that supports women writers and artists, and according to their website, it’s the largest grant of its kind to women in the United States. So, yeah, $50,000? I had to give it a try. The application was massive – five meaty essays plus a writing sample plus tax returns and all kinds of paperwork. It took many, many hours to write and assemble. And a few days ago I was finally finished. It’s mailed in. Now I just have to wait five months to find out the results. The day I sent it in, I thought I’d be riding high – relieved and hopeful and feeling like crowing over a job well done. Instead I felt tentative, sad and anxious. Go figure. It was hard to let go of the application. I’d put so much into it, it was hard to stop and accept I’d done all I could and that was that. I’ve been thinking back to my letting go posts of late summer/early fall. Here’s another opportunity to practice. While I was working on the application, I fantasized about winning that fifty grand. That’s how I faced the seemingly endless essays and rationalized the many, many hours it took away from working on my book. I pictured sitting down for a celebratory meal, drinking a fancy cocktail, quitting my part time restaurant job and settling in to write like crazy. But once that package left my hands, all I could think was, no way am I ever going to get that award. I just spent eight weeks working on the longest shot ever. But my last post here was “Everything Is Medicine.” Writing a massive grant application? Medicine. Yes, $50K would be awesome, but I’m going to see this accomplishment as a good thing, no matter the outcome. Maybe I’ll even drink a fancy cocktail regardless. AROHO, the foundation that gives the Gift of Freedom award, goes out of their way to support women writers. They set up a Facebook page where applicants could commiserate with and encourage one another. They also offered an option to sign up to receive daily, personalized “Countdown to Freedom” emails to cheer you on in the process. The emails usually consisted of an inspirational quote like this one from Diane Ackerman: “I don’t want to get to the end of my life and find that I lived just the length of it. I want to have lived the width of it as well.” I love that they did that. When I was working on “We Got Spirit!,” a monologue I performed in the Live Bait Filet of Solo Fest some years back, I had an idea for a traveling cheerleader service. It would be akin to a singing telegram – a nice cheerleader would arrive at your home or office and cheer you on in whatever challenge you were facing – whether you were a student heading into a scary test, a lonely homebody who needed to get out there and make some friends or an unpublished writer working on a book – whatever your hurdle, the cheerleader would address that in a special cheer for you. So, although I will not be stopping by in a cheerleading ensemble (even though I have one), in gratitude for Virginia Woolf, the AROHO foundation and the wonderful friends who offered feedback on my application (Thank you Ann, Harry, Jordan, Lindsay, Nick, Rick and Ruiyan), I would like to send out some cheer. If anyone out there needs support and encouragement, tell me in the comments what goal you’re trying to reach or send me an email through my website maiamorgan.com and I will cheer you on. And now, back to business as usual: working on The Saltwater Twin, submitting essays thither and yon and perhaps occasionally sipping something fancy. Follow the saltwater twin via email! Enter your email address to follow the saltwater twin and receive updates in your inbox.